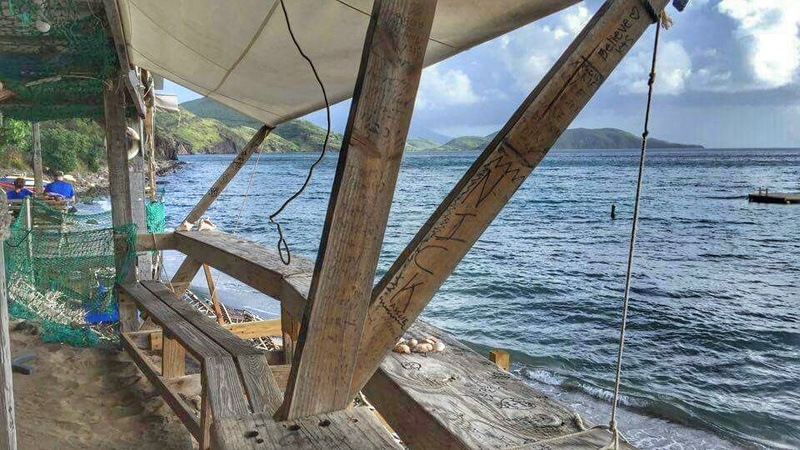 If there’s a country that’s become more synonymous with beach bars during my travels than any other, it’s the two island federation of St. Kitts and Nevis. Featuring black sand beaches filled with beach bars such as Cockleshell, South Friars and South Frigate Bay on St. Kitts and Pinney’s on Nevis, this leeward island getaway in the Caribbean might offer more beach bars per square mile than any other in the region. 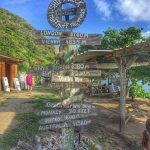 Disclaimer time – This list isn’t meant to be a “best beach bars of St. Kitts and Nevis” list but rather a handy dandy reference guide that would help cover the tastes and preferences of all different types of people. 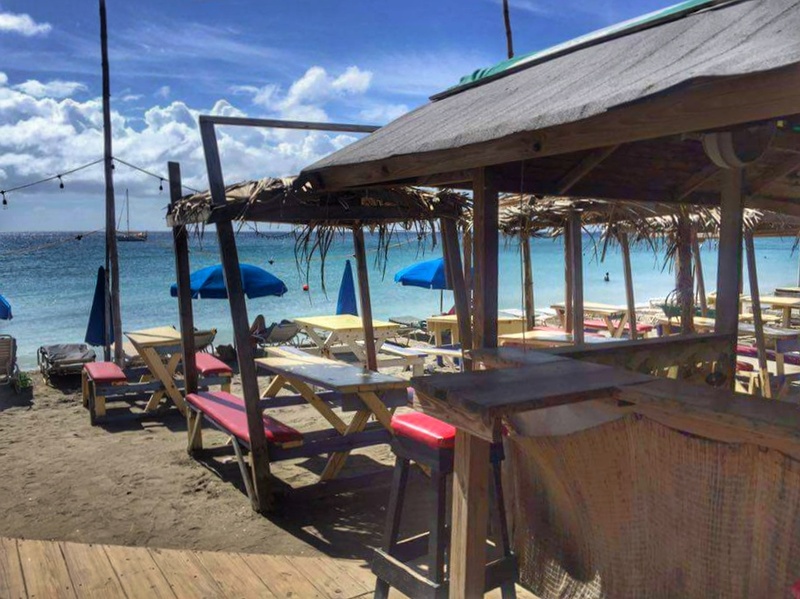 If you’d like a personal recommendation on which beach bars you should visit when you’re on the islands, please feel free to send me an email at info (at) beachbarbums (dot) com. Enjoy! 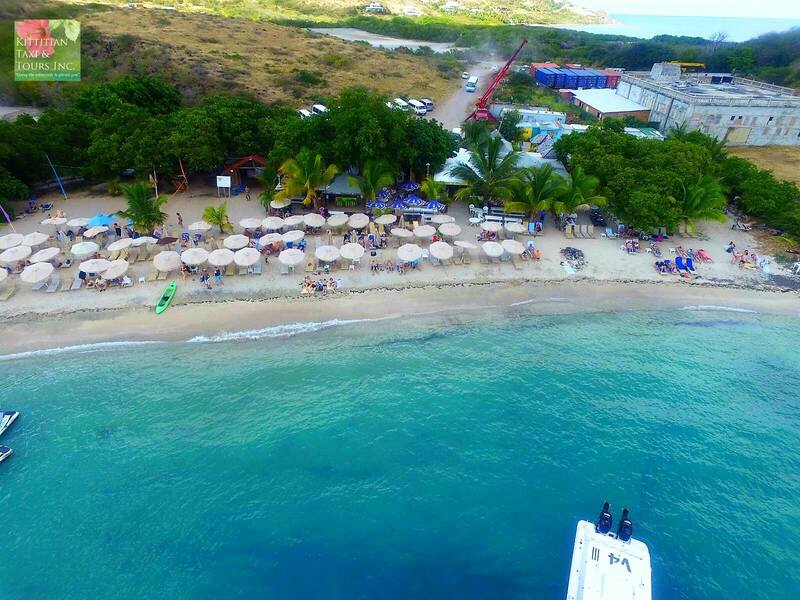 Located on Nevis just south of the magnificent Four Seasons on Pinney’s Beach, Sunshine’s is the most famous beach bar in St. Kitts and Nevis. 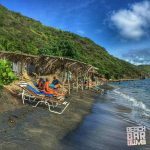 No other beach bar in the country appears on more “best beach bar” lists than Sunshine’s and with it potent signature cocktail, the Killer Bee almost as popular as the beach bar itself, this is the only reason you’ll need to hop on the ferry to visit St. Kitts’ quieter sibling. 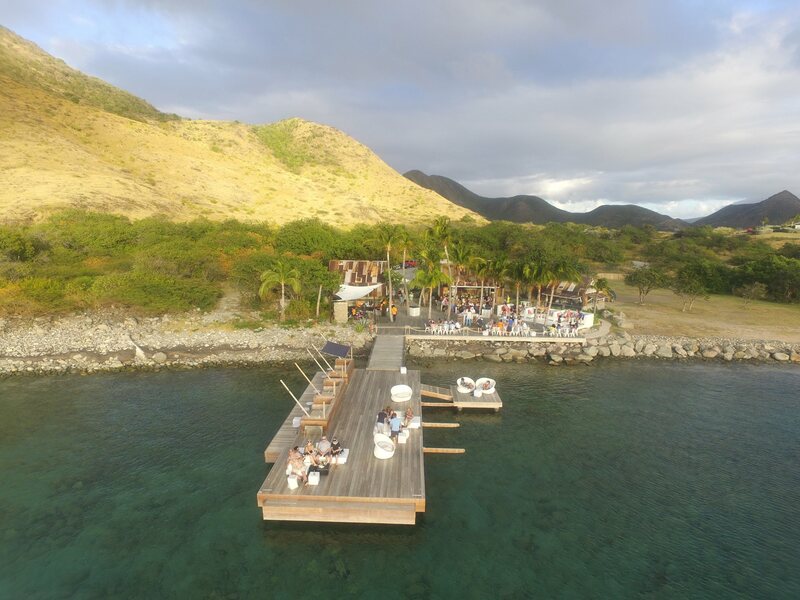 Part of the new Christophe Harbour development on the southeast peninsula of St. Kitts, Salt Plage is a prime example of “beach chic.” The crowd at this beach bar will be decidedly different from the throngs you find perusing the offerings on “The Strip” but that’s not a bad thing. If there was a gathering of “uber cool” beach bars, Salt Plage would be on the guest list. There’s typically one reason people visit Cockleshell Beach and that’s Reggae Beach Bar. It’s the place you want to take visitors to the island if you’re trying to impress them with beachfront digs. They’ve mastered the merchandising element as well and offer some of the best beach bar t-shirts you’ll find anywhere, an important aspect in my tees/shorts/flip flops dominated life. If you make it to Reggae Beach Bar, leave time in your itinerary to walk about a thousand feet down the beach to Lion Rock. 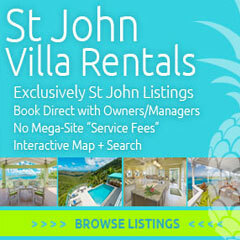 That’s where you’ll find plenty of room to stretch out and one of St. Kitts’ institutions, Lion himself. Hopefully he’s working – if he is, introduce yourself and thank him for his beach bar. It’s as true a Caribbean beach bar as you’ll find anywhere and is one of my favorites. It’s the place I began my endless and so-far fruitless search for the “Green Flash.” I remember coming hear over a decade ago when it wasn’t much more than a shack and there were barely any people outside of our party on the beach, let alone the beach bar. Shipwreck Beach Bar, just like the crowds on South Friars, has grown rapidly in the years since but still manages to maintain the charm that made me fall in love with it, and beach bars, a long time ago. If there’s a beach bar filled with romanticism in my thoughts, it’s this one. 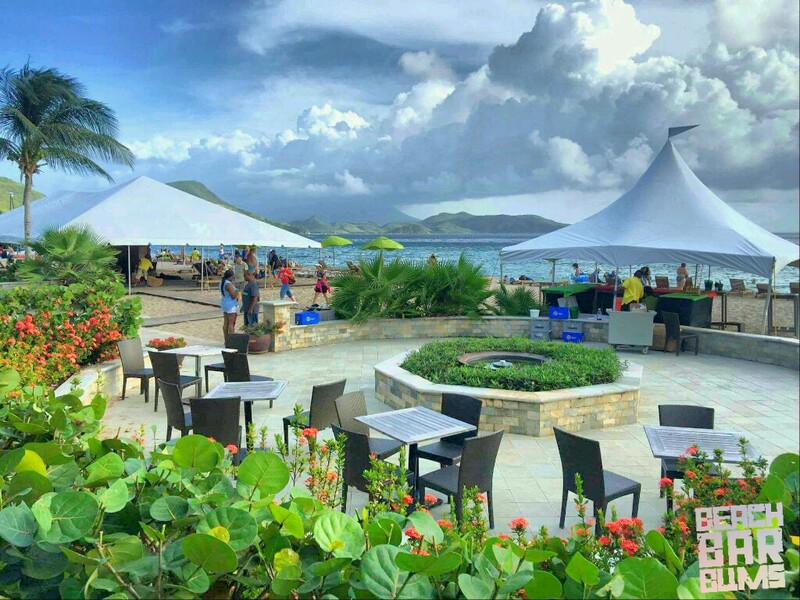 St. Kitts’ “the Strip,” a stretch of beach located on South Frigate Bay, is jam packed with enough beach bars that you could visit two a day for a week and barely cover them all. Above the fray stands the Shiggidy Shack, lorded over by the rarely-smiling Mr. X. He’s not as scary as he appears, though, as the above picture illustrates, and even recognized the Beach Bar Bums brand when my brother told him about it. On the Strip and the rest of the island, there’s Mr. X and then everybody else. Visit any of the aforementioned beaches in the opening paragraph and you’ll find a beach bar suited to your taste. For those of you looking for something a little out of the ordinary, give these following beach bars a try. Located at the Nisbet Plantation Beach Club, chances are you’ve seen images of it picturesque beach bar, Sea Breeze. It’s a fun and laid back spot that features local Nevisian cuisine. Don’t want to get up from your hammock? No worries – they’ll bring your drink to you. Sprat Net isn’t on the beach but it’s as close to the water as you can get and the food cannot be beat. The menu is limited – last time I was there, you got fish, ribs or chicken platters – but what they do, they do splendidly. 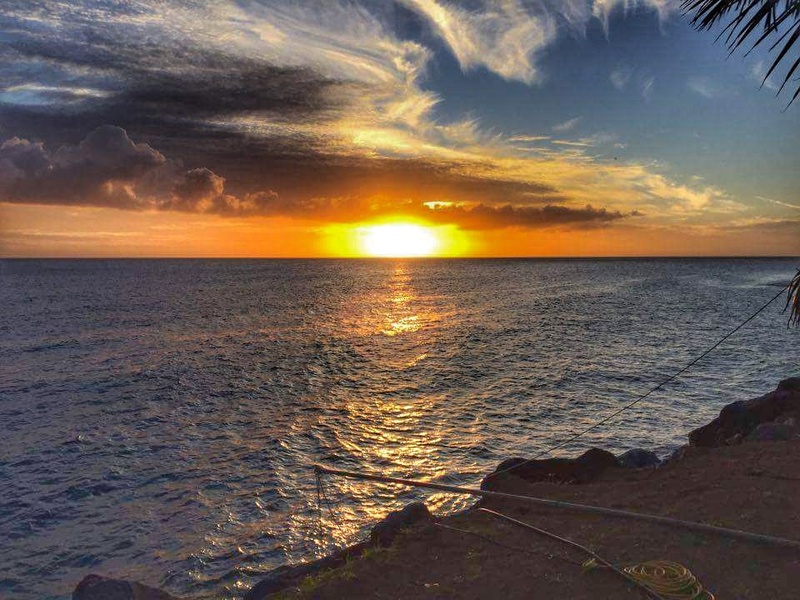 All of the food is melt-in-your-mouth goodness and with its location on Old Road Bay, the sunsets are guaranteed to melt any of the day’s worries away. If you’re looking for a high end property with all the amenities you’ll need for your typical beach day, Carambola is the answer. It’s probably no accident that it’s on the opposite end of South Friars from Shipwreck because that’s about the same position these two would occupy on the spectrum of beach bars. 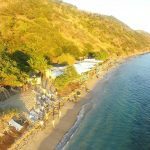 There’s a beach bar for everyone and if “convenient classy cool” without the pretentiousness of a high end joint is something that appeals to your inner beach bar bum, Carambola might be your utopia. Did I miss a beach bar you were hoping to find on the list? If so, let me know in the comments so readers will know what other favorite beach bars there are in St. Kitts and Nevis. 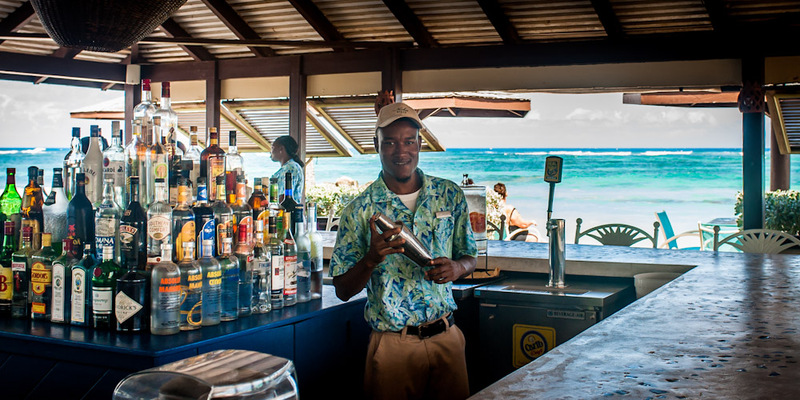 For more information on the beach bars of St. Kitts and Nevis, check out our articles here. A special “thank you!” to Kittitian Tax and Tours for providing the Salt Plage, Reggae Beach Bar and Shipwreck Beach Bar aerial images. Trip Advisor reviewers love them – out of 105 ratings, 94 are five stars and 10 are four stars. The Sea Breeze Beach Bar image provided courtesy Tina Thuell Photography who owns the copyright. Thank you for your kind comment, Yahsonn! 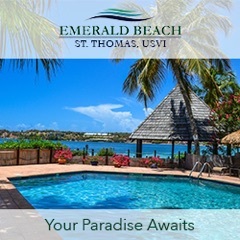 Our family has vacationed in St. Kitts and Nevis numerous times over the last 10 plus years and always look forward to a return trip to your beautiful country. Cheers! Missed the real “non tourist” deal. Reef bar & grill in Dieppe Bay. Sea to table! !